If you are looking for an exotic getaway this summer, that won’t cost the earth, think about looking for a cheap getaway to the beautiful country of Morocco. In terms of tourism, Morocco has everything to offer. Visit the beautiful and untouched beaches of Dakhla bay on the pacific coast, or visit the entrancing souks in Marrakesh. Marrakesh is a fascinating city, where modern and stylish restaurants sit amongst the ancient winding streets of the souks and markets. Visit the main souk to listen to sorcerers and storytellers and be transported back to ancient times by the mystifying snake charmers. One of the key selling points of visiting Morocco is the food, in the markets there are stalls that sell beautiful tagines and cous cous cooked before your eyes, made with fresh ingredients and spices from the other market stalls. Marrakesh is also brimming with restaurants, including small family run businesses overflowing with North African charm, or large classy enterprises serving fusion food with a modern twist. Marrakesh has become somewhat of a city break destination, however Morocco has so much to offer that I feel tourists would be hard put to cram everything into a few days. In the bustling streets of Marrakesh, lies a botanic paradise, a true getaway from all the hubbub of the city. 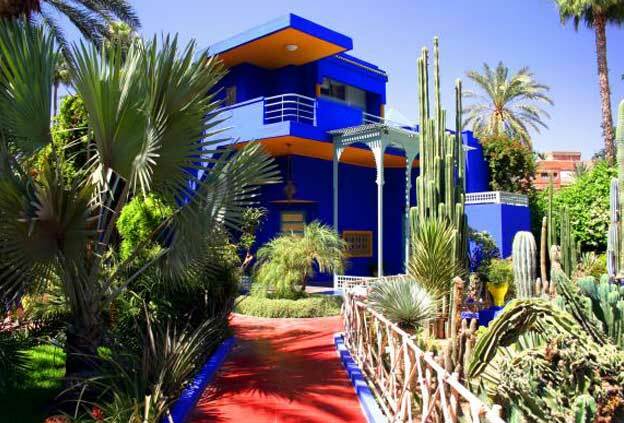 These are the Majorelle gardens, designed by landscape artist Jacques Majorelle. Designer Yves St Laurent was so fond of the gardens that in 1980 he bought them, then in his death in 2008 had his ashes scattered there. The gardens really are truly beautiful, hidden entirely from the outside world, exotic plants line bright blue mosaics and bridges, creating both a calming and effecting atmosphere that you will never forgot. The gardens are extremely cheap to enter and in a small courtyard at the side of the gardens lies a small cafe, where you can enjoy a refreshing mint tea on traditional Moroccan furniture in the North African sunshine. If you are going to travel to Morocco, I strongly recommend staying in one of the breath taking riads that can be found throughout the country. 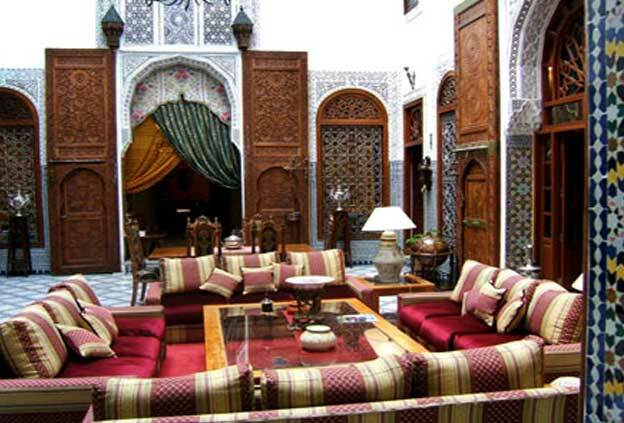 A riad is small family run guesthouse, where the buildings are built around a small courtyard or swimming pool. Riads can offer both luxury and budget accommodation, though staying in one of these idyllic spots will ensure you can a true sense of Moroccan culture. Morocco is a country steeped in history and culture and the people are incredibly friendly. Naturally, the market traders do go a long way to compete for business and do not expect to walk through the market without being approached by those looking to make a sale. However these approaches are neither pushy nor intimidating and a polite no thank you prevents any further comments. However, do be sure to purchase some trinkets though, as the majority of market traders are artisans who have perfected their techniques for years and it is more than possible to leave Morocco with some beautiful, unique items, often at extremely reasonable prices. Great post! Wish I was there now, thanks for the advice. I had never thought of Morroco but I will now! When you’re back from your trip, do send you your review for hotel/place.